This is the era of social media, and that makes you a very fortunate voiceover artist. Just think how much easier it is to build a network today because of the internet and social media. Years ago, all of that networking had to be done in person. That means you can, if you are a strong networker, grow your voiceover business much faster than your predecessors could have. Not All Followers Are Equal That is not to say that they are not equal as individuals, but rather that some followers will be more inclined to interact with you. They will share your interests. And, some will even be able to provide you connections with the casting directors who would be interested in hiring you. Those are the followers you want. So, while it can be very gratifying to see your number of followers increase by leaps and bounds, having them is going to add very little (if any) real value to your network. Build Relationships It’s wonderful to have a huge following online, but, again, that is not going to do you a lot of good if you are not interacting with that network. You must be social in order to build trust and loyalty. Don’t just give information, ask questions, inquire about the interest, health, and professions of others. In return, those people will be more apt to pay attention when you talk about what you do or when you ask them to promote you. 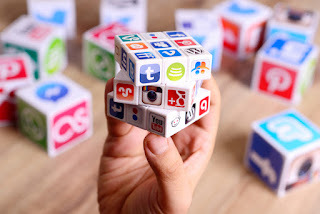 Consider Influencer Marketing If you are still relatively new on the social media scene and you want to gain more followers who will really care about you and your profession, consider paying for influencer marketing, instead of buying followers. Why? Influencers in your industry have the ears of the market that you are most interested in appealing to. With the help of these social media gurus, you can build up your brand recognition online in far less time than it would take to do so organically. There are times, for every voiceover artist, when recording must be paused, so he or she can take a breath or get a drink. However, if you find that you are getting winded too often, it might be time to consider some changes to your routine. 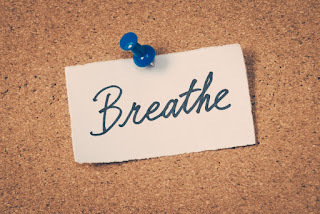 There are some things that you can do that will help you avoid that desire to gasp for breath or that need to bend over to stop the winded, dizzy feeling. Most of these tips have much more to do with your way of life than they do to things taking place in the recording studio. That is simply a stark reminder of the fact that your voice in your instrument and it must always be cared for, even when you aren’t using it. Exercise This is always the first tip given, but let’s be more specific. All exercise can be beneficial for staying in shape and feeling healthier, but there are some that are better for voiceover artists than others. Interval training, or any sort of exercise that involves spurts of intense cardio will improve endurance. It will also help you avoid that winded feeling in the studio. Drink Water is the best defense against the dreaded dryness that makes it harder to speak clearly. Keeping your body hydrated will also keep your airways clearer, which means less gasping for air when speaking long sentences. 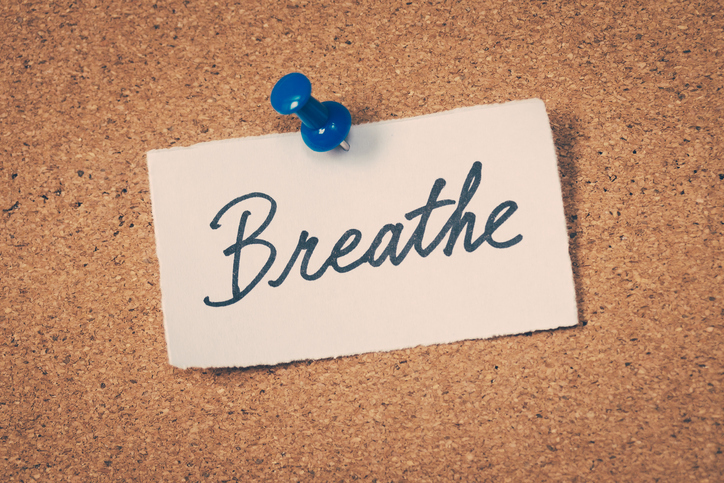 Breathe Smarter Not just in the studio, but often and on any given day, you should take time to focus on your breathing. Breathe in through your nose and out through your mouth. Take a few moments to calmly count your breaths and really focus on the air moving in- and out of your body. This can help you regulate your breathing when you are finding it difficult to avoid that winded feeling. See the Doctor Regularly If you are suddenly having more trouble catching your breath than you ever noticed in the past, it could be a sign of some sort of medical problem. It is a good idea to consult a physician if you think you are getting too winded too often. You should see your doctor on a regular basis anyway, because, as was said before, your voice is at the center of your livelihood and must be properly cared for. Typically on this blog, I write to an audience of voiceover talents. This time, though, I address those who are attempting to hire a voiceover artist for the first time. This is something that is occurring more frequently these days. Most of the questions that I field regarding uncertainty about hiring voiceover artists come from authors. The internet and a number of respectable companies have made it very easy and relatively affordable for authors to publish their own works. The internet and smart devices have also made it easier for people to buy- and listen to audio books on a regular basis. Not wanting to miss out on that segment of the market, many authors are looking for voiceover talent so they can add a quality audiobook to their available formats. If you are looking to do just that, then there are a few things that you will want to carefully consider as you screen prospective voiceover artists. There are three things that you should be evaluating as you listen to the initial demo tapes. 1. Strength of Voice While it can be easy to fall for the ability of the voiceover artist to work humor or impression into the demo tape, you have to remember to consider the strength of the voice. Why is this so important for your project? You are asking this talent to record a book. That means that the person hired to do the job is going to spend a lot of time in the recording studio. That voice has to endure throughout. 2. Variation You want to really hear some variation in inflection and cadence. An audio book can quickly turn off the listener if the narrator sounds monotone or completely lacks emotion. 3. Pronunciation Keep in mind the setting of your story and be sure you are choosing an artist that will lend a believable element to the story. This begins with accent and pronunciation. Consider hosting call-backs. This might involve a bit of an investment, but in the end it can be entirely worthwhile. This will also allow you an opportunity to hear the voiceover artists read from your novel, so you can really get a feel for how well they will match your vision for the audiobook. 1. Make Your Own Hiding Spot Kids learn very early that there are certain things in life – physical possessions, emotions, and other treasures – that simply shouldn’t be shared. Often those kids will create their own hiding place. This could be a fort, under a bed, or in a tree. As a voiceover artist, it is a good idea to have your own hiding spot, where you can go when you need the world to be silent. The recording studio, of course, must be shut off to the other noises that regular surround you, but a hiding spot can also be a place you go to read through new scripts, to try new voices, and simply to destress after a hard day. 2. Use Your Imagination Kids are wonderful at creating imaginary friends, developing entirely new games, and building worlds inside their heads. There is much that you can learn from them in that regard, beginning with the imaginary friends. It is much easier to read a script in a convincing manner if you imagine yourself speaking to another person or to an audience. This is where a strong imagination can benefit you as a voiceover artist. 3. Don’t Be Afraid to Play Most voiceover talents, due to human nature, will stick to one or two variations of their own voice when recording. However, it isn’t a bad thing to play – just as the kids. Instead of diving into the new project with the usual approach, schedule yourself a little extra time in the recording booth to try out a couple of new voices. You may be surprised at what you can create when you allow yourself time to play. In the last post, we wrote a bit about two of the conditions that can wreak havoc on a person’s voice. It was also clearly mentioned that such damage to the voice would cause serious harm to a voiceover actor’s career. Those two are not the only conditions that can cause such problems for professional voice talents. Voice Strain It is a real thing. If you have ever gone to a sport event, concert, dance club or other such venue and awaken the next morning to find your voice scratchy, then you already know it is. Voice strain wouldn’t be a big problem for the average person, but when your job depends on your ability to speak clearly, voice strain can be downright terrifying. That, of course, means that you must take proper care of your voice. Sporting events can be fun without the screaming. Clubs, bars, concerts, and other such entertainments can certainly be enjoyed, but you should definitely remain aware of how you are treating your voice. In most cases, the symptoms of voice strain alleviate themselves within a few days, sometimes even within a few hours. Some damage can be longer lasting, though, and may call for some medical treatment. Vocal Chord Trauma While most cases of vocal strain will heal quickly, there are greater dangers associated with misuse of your voice. Trying to give a presentation to a crowd without a microphone, for instance, would result in your speak at uncomfortable levels for a prolonged period of time. In most cases, this might lead to a bit of soreness and a scratchy voice for the next day or two. In worse situations, though, it could lead to vocal cord lesions or hemorrhage. The non-cancerous growths known as lesions can actually result from vocal misuse. Fortunately, these can be treated, but the healing process can certainly be longer than you’d like when you depend on your voice to earn a living. Hemorrhaging can be even worse, and may also result from misuse of your voice. The blood vessels of the vocal chords can actually rupture and fill the surrounding tissue with blood. This is considered an emergency situation, will require medical intervention, and you will ultimately be commanded to rest your voice for a prolonged period of time. That means no work. Paralysis Surgery, illness, tumor growth, or several other problems can cause paralysis of the vocal chords. In some cases, the cause isn’t ever determined. This would be a devastating diagnosis for a voiceover artist because it can rob a person of his or her voice for a very long period of time. In some cases, it is permanent. Fortunately, it is very, very rare. Cancer Obviously, this is the scariest diagnosis, but the medical community has made many strides. The fight against cancer is getting stronger every day. That said, any sign of throat cancer should be a reason to seek immediate medical care. Chronic throat or ear pain, trouble swallowing, sudden vocal chances, or a lump in the neck or throat should all be considered very serious symptoms. Caught in its early stages, this type of cancer is curable, and in many cases, the voice returns to normal after treatment. There are many aspects of the voiceover profession that many on the outside wouldn’t immediately recognize. The job depends on your ability to self-promote, to manage time effectively, to network and work well with others, and more. However, the one thing that even the outsiders understand is that without your voice, you wouldn’t have a job. This is an undeniable truth in this industry, which is the very reason that voiceover artists do everything they can to protect their most valuable instruments. Unfortunately, there are at least six things that could ultimately steal your voice, and possibly your paycheck. Laryngitis For most people, this condition is acute. That is to say that the loss of the voice is only temporary. In that case, it would be a major nuisance, but not necessarily a threat to your job. However, there is also something called chronic laryngitis, often caused by untreated (or uncontrolled) acid reflux or infection. It can also be caused by smoking, which is just one more reason why voiceover actors should definitely not be smokers. Chronic laryngitis can be very long lasting, something that a person could battle for weeks, months, or even years. Treatments are aimed at alleviating the underlying cause, so healing times vary substantially. Laryngopharyngeal Reflux Disease (LPRD) Though this condition can appear without any of the typical symptoms of acid reflux, in many cases, those diagnosed have already suffered from heartburn and other such complaints for quite some time. This condition can cause the voice to become hoarse or raspy. That and other symptoms can be very long lasting depending on the damage done by the stomach acid that was allowed to enter the esophagus. Obviously, this should serve as a warning to ensure that you see a doctor about any acid reflux related symptoms you may suffer with. In the last blog post, it was highly recommended that you set aside time to take a vacation. 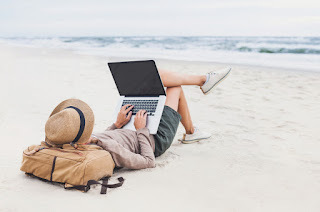 It was also highly recommended that you use this time to disconnect from technology, and from all those contacts that claim your time the rest of the year. However, some of us are simply bad at taking holidays. 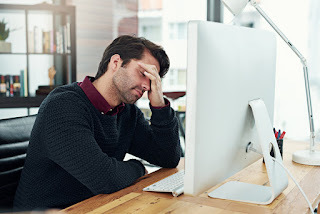 If that is you, or you simply can’t afford to completely disconnect, then you may consider taking your work with you. At least that means that you go to the destination vacation with your family, without missing out on the potential to sign another job. In order to do that, though, you will need to consider what it would take to create an audition tape from a resort (possibly hundreds or thousands of miles from home). That said, you shouldn’t try to bring along every piece of recording equipment you own, particularly if you intend to fly. In most cases, you can get away with a decent microphone, your laptop, and the corresponding cords. It is possible to get affordable, padded cases that will hold all of this equipment in a compact form that you will be able to carry on an airplane. Do be prepared, however, for an extensive search by security. #1. Is it absolutely essential that you take it along for the ride? 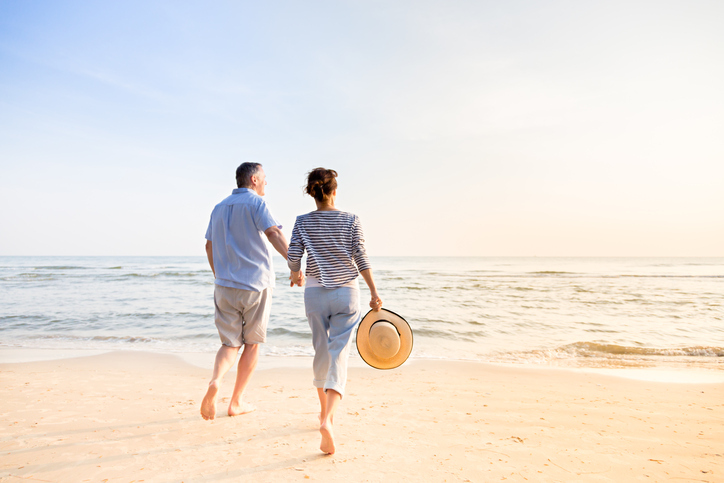 If you haven’t taken a family vacation or time off in a while, then perhaps your career would benefit more if you were simply to use the time to unwind. #2. Can you afford to lose it? Unfortunately, whenever you travel, there is the real risk that you won’t come back with everything you took with you. Lost luggage, theft, hotel mishaps, and more could cost you some- or all of your equipment, which would be safer at home. Even though we absolutely support time away from the recording studio, we do want to emphasize that you must be realistic about the risks you take when traveling with recording gear. #3. How will you block out background noise? What will be your method of soundproofing? Can the hotel offer you and extra quiet location while you are away? It may be necessary to record while hidden away under layers of blankets simply to negate some of the noise around you. The Konica Eyeball I've found is the best device yet for insulating the area around that mic from extraneous sound. Should you bring your work along? Yes. If it means that you are able to sneak away with your family and enjoy a few hours of fun, you should. However, if you can get away without it, then you should probably consider doing so. After all, as we said in the last post, vacation time can be very beneficial to business professionals like you. Working in voiceover can be a very rewarding career path. Not only do you get to express your creativity when reading the various scripts for a large variety of different clients, but you can also make your own schedule and spend a lot of time in your home office. For those who don’t love the idea of a standard 9-5 job, this is certainly an enticing profession. However, it doesn’t come easily. It does require a lot of hard work, networking, and patience with difficult clients. It can also involve longer hours each day, because you never really leave the office and are likely tempted to answer emails, phone calls, and texts after the typical business hours. In that way, it can be both rewarding and taxing. This is exactly why it is highly recommended that you set aside time for yourself. 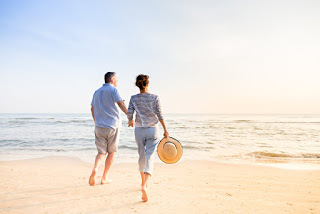 Whether that means traveling to an exotic island getaway for ten days, jumping on a ship bound for the coldest reaches of Alaska, or simply turning off electronics and enjoying a staycation, vacation time is important. In fact, it has even been proven through extensive research that the upper echelon of management (i.e. CEOs) are actually more apt to receive raises, bonuses, and positive feedback if they take vacation time each year. Why? Vacations are a time to mentally and emotionally reboot. There is a lot of stress that comes with holding down a job – whether it requires you to be in the boardroom or the recording studio. 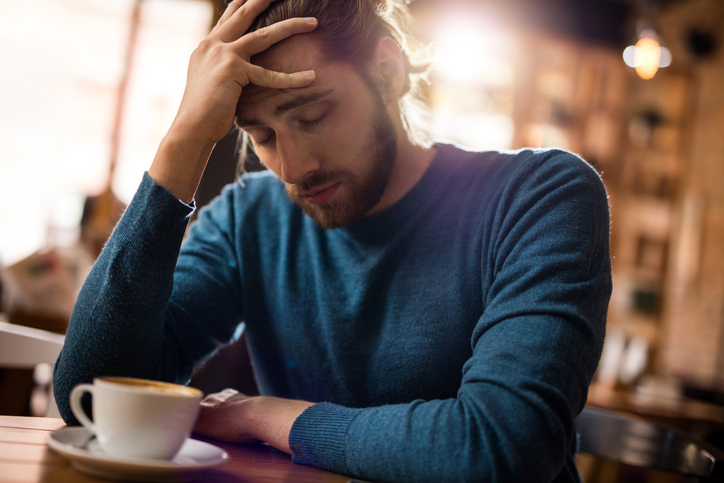 That stress can really weigh a person down, making it more difficult to concentrate and make wise decisions. Vacations wipe the slate clean, and provide you a fresh starting point when you return. It's not just the break from the work stress, but also a bit of time away from technology. 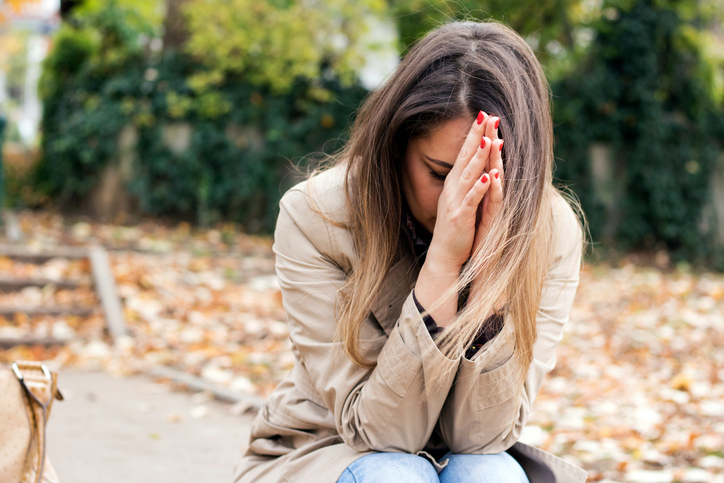 Turning off the computer, phone, tablet, and other such devices can really be healing. That is a large part of the reason why cruises and international trips can provide greater stress-relief. The inability to stay in constant contact with everyone allows a person to unwind and enjoy the world around him or her. So, take the vacation. Not only will it provide you the chance to try something new; it may actually make you a better voiceover artist.